Something that never gets old: the arrival of a box of author's copies. 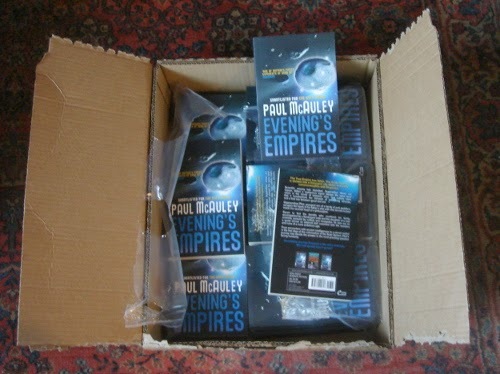 In this case, the paperback edition of Evening's Empires, due to hit the shops and big box warehouses on April 10th. Hey.